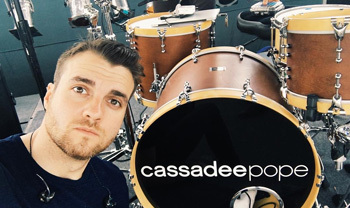 Yesterday, Rian played the drums for Cassadee Pope, who performed at Dogwood Festival in Farmville, NC. You can watch a video of Cassadee Pope and the band playing the song Good Times below. A picture was posted on Rian's Instagram account yesterday. Check it out in our gallery. 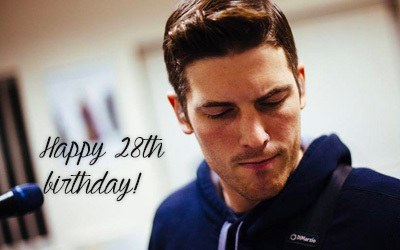 Oh Calamity would like to wish a happy 28th birthday to the best bassist of his generation, Zachary Steven Merrick! I hope he will spend the nicest day with his loved ones. All Time Low frontman Alex Gaskarth married his high school sweetheart, Lisa Ruocco in Baltimore, MD this past weekend, The Knot confirms. The wedding was full of romance, great eats, and rock and roll! Gaskarth and Ruocco wed Saturday, April 9 at the home of Baltimore rock opera 2640 Space and were surrounded by friends, family, and of course the groom’s All Time Low bandmates. The 28-year-old pop punk musician and his bride exchanged vows under a lush floral archway and enjoyed a reception full of flowers provided Simply Beautiful. “The aesthetic of our wedding alone was absolutely incredible. Lisa is an event planner , so this moment was destined to be incredible no matter what, and she transformed the space (2640 Space) into something out of a dream,” Gaskarth gushed about his wife’s design. “The building is very rough around the edges, but with some careful planning, and the help of some amazing vendors, we made it our own. One of the very few things that I specifically wanted were Edison bulbs, which were strung around the room by Event Dynamics, and really gave everything a warm vibe.” Ruocco created the entire event based upon three of the their favorite things: wine, traveling, and music. The bride wore a white wedding dress from Israeli designer Inbal Dror – the same designer whose wedding dress Beyonce wore to the Grammys – that appears to be comprised of two pieces. The top is a sheer cropped tank while the bottom shows the bride’s shape with a high-waisted, fit and flare floor-length skirt. Ruocco’s she wore simple, light makeup and pink lips with her hair gently curled. Her hair and makeup was provided by Caitlyn Meyer. Gaskarth asked all of his All Time Low bandmates to be his groomsmen. “The guys are my brothers, and there’s no way I’d be able to do something this big without them,” he explained to The Knot. “It was truly special having them up there with me. We’ve gone through so much together already, and this was another incredible moment to share.” The groomsmen donned traditional black tuxedos with white shirts and black striped bowties by Ted Baker, while the groom himself stood out from the crowd in custom, maroon tuxedo, black shirt and black bowtie created by Christopher Schafer Clothiers. As live music from the band Millennium filled the reception, the newlyweds and their guests dined on Chef Miller’s custom menu. Inspired by Gaskarth and Ruocco’s travels, lobster ceviche was served during cocktail hour to drum up memories of the couple’s favorite trip to St. Barthélemy (where they’ll be enjoying part of their honeymoon). There were also helpings of Nagoya wings from the groom’s favorite country – Japan, as well as grilled octopus and fish n’ chips to pay homage to the groom’s UK roots. Not to be forgotten, the couple also gave an edible shout out to the city where they were tying the knot, Baltimore, indulging in escargot sticky buns inspired by a fave Baltimore restaurant called Fork and Wrench. Along with their delicious eats, guests were privy to a selection of five wines that had been handpicked for the occasion by their favorite sommelier, Ralph Hersom. In the midst of planning this incredible wedding, and after touring the UK and Ireland on the Back to the Future Hearts Tour with bands Good Charlotte and Against the Current, Gaskarth and his All Time Low bandmates recently released a new video for “Missing You” off their latest Future Hearts album. Jack teamed up with the clothing line UNKNOWN to help the charity Save The Children. When you buy a shirt, the proceeds go directly to the charity. Check out the photoshoot which Jack did for the brand in our gallery. On 18 July 2016, Alex and Jack will host the Alternative Press Music Awards. The magazine just posted a video in which both Alex and Jack are running for President of the APMAs using the hashtags #VoteAlex and #VoteJack. So, who has your vote? 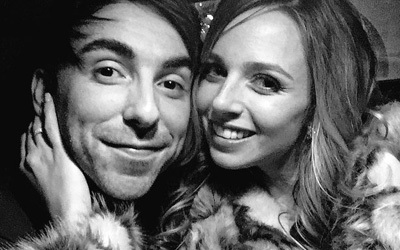 Congratulations, Mr and Mrs Gaskarth! Oh Calamity would like to congratulate Mr and Mrs Gaskarth on their wedding, which happened on 9 April 2016. I wish them both a lifetime of happiness. 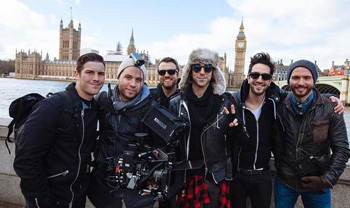 All Time Low have just released their brand new music video for the song Missing You. You can watch it below. The screencaptures will be posted later on in our gallery. Edit: Check out multiple screencaptures as well as a couple behind the scene pictures in our gallery!